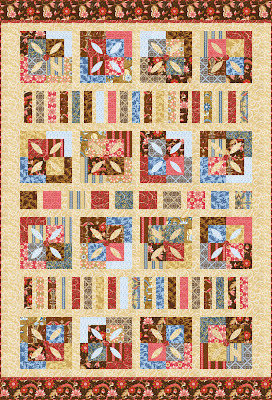 Amanda Murphy Design: Swiss Chocolate complimentary pattern - in a kit! Swiss Chocolate complimentary pattern - in a kit! Wondrous Woven Fabrics is selling kits for my complimentary pattern for Swiss Chocolate for Robert Kaufman! Amanda, I just love this quilt. I am going to check it out now. <3 it! It is sooo going into my 'to do' binder! Just beautiful, the colors are very current! Fat Quarter Shop has Swiss Chocolate precuts!